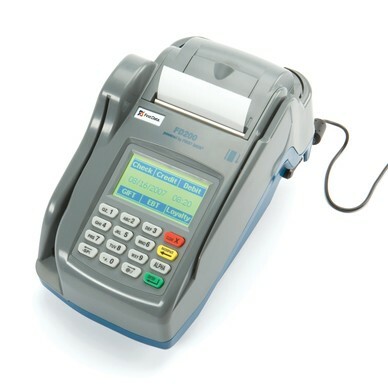 The First Data FD100 credit card terminal is perfect for any small business looking for affordable functionality. This touch screen terminal combines reliability, performance and security in an all-in-one POS solution. The First Data FD100 Encrypted, FD100 combines performance, security, reliability and ease of use into a low-cost, feature-rich all-in-one terminal solution.